“Remember the ads that King County Executive Dow Constantine thought were too controversial to run on Metro buses? “Late last year, The Seattle Mideast Awareness Campaign tried to run bus ads that were critical of US financial aid to Israel because of Israel’s policy in Gaza. As with anything involving Israel, temperatures rose, people got uncomfortable, and Constantine decided to reject the ads which had originally been approved to run on 12 buses. “The group sued, but lost in Federal court in February. 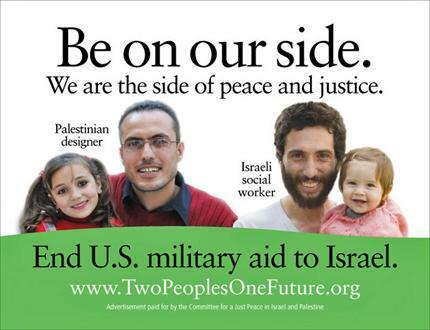 The wording is different, but the underlying message – targeting U.S. military aid to Israel – is indeed the same. The ACLU-WA is representing the Seattle Middle East Awareness Campaign, the ad’s sponsor, in a lawsuit seeking a declaration that the County’s action violated First Amendment rights and an order that the contract to run the ad be honored. A jury trial in the suit is set to begin October 31. (The February action to which Publicola refers was on a motion for a preliminary injunction.) The county justified its cancellation on “threats” to the safety of the buses – a claim that will be examined thoroughly at trial. Ads on buses provide a cost-effective way for non-profit groups to spread the word about their causes. King County has a long-established practice of publishing on its Metro buses paid ads with a wide spectrum of speech, including ads promoting atheism and supporting Palestinians in Gaza. Want the scoop on the ads in other cities? Check out the item on Publicola on Sept. 21.